The Buckeye Reining Series hosted their largest show to date with the Leonard Truck and Trailer No Entry Fee Derby Show, held May 25-28, 2017 at the Champions Center in Springfield, Ohio. The event drew exhibitors from near and far as each vied for the more than $80,000 in added money and prizes. But the biggest draw for exhibitors was the second annual $50,000 added No Entry Fee Derby sponsored by Leonard Truck and Trailer, which also included both Open and Non Pro Novice Horse Derby divisions. The Open Derby boasted 101 entries in the draw as Shawn Flarida took home top honors in the Open L4 and Novice Horse Derby L4 aboard Luckie Moonstone, owned by Jason Dobrinski of Factoryville, Pennsylvania, with a score of 224. Congratulations to all current and past OQHA members at the IHSA Nationals. Anneliese Ritzi (U of Findlay) wins Advanced Western Horsemanship national title. Emma Willeke (U of Findlay) wins Novice Western Horsemanship reserve champion. 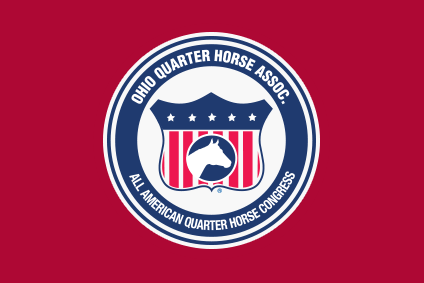 Taylor Overmier (Ohio State U) wins Open Reining Pattern for the AQHA Trophy in a tie-breaking return to the pen against last year's defending champion, Selena Finn (U of Nebraska-Lincoln). "It was intense. I knew it was going to be the two of us," said Taylor, whose first round drew Danny Boy, and her second ride was on Lil' Bill. "Danny Boy is a more mellow draw while Lil' Bill is 'energetic.' Both are very talented horses. My favorite parts of a test are the run downs and stops.